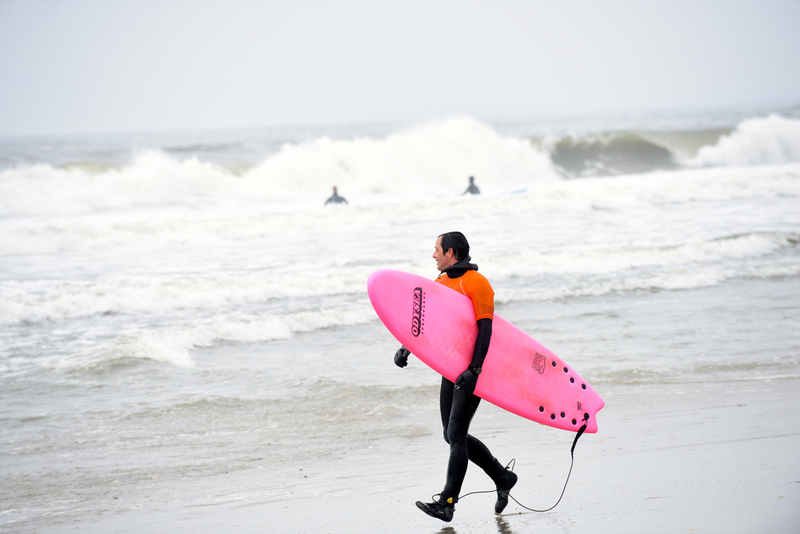 As the water temperature continues to warm up, many of you may be wondering what that means when it comes to choosing proper surf attire. Never fear, The Locals are here to answer all your questions! 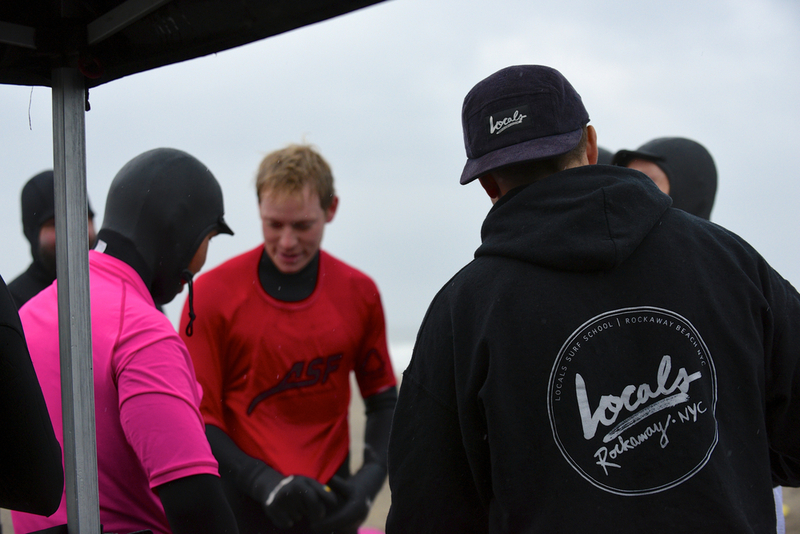 Locals Foam-Top Frenzy was a Huge Success! Locals Surf School's first annual Foam-Top Frenzy was a massive success, but you could have guessed that. 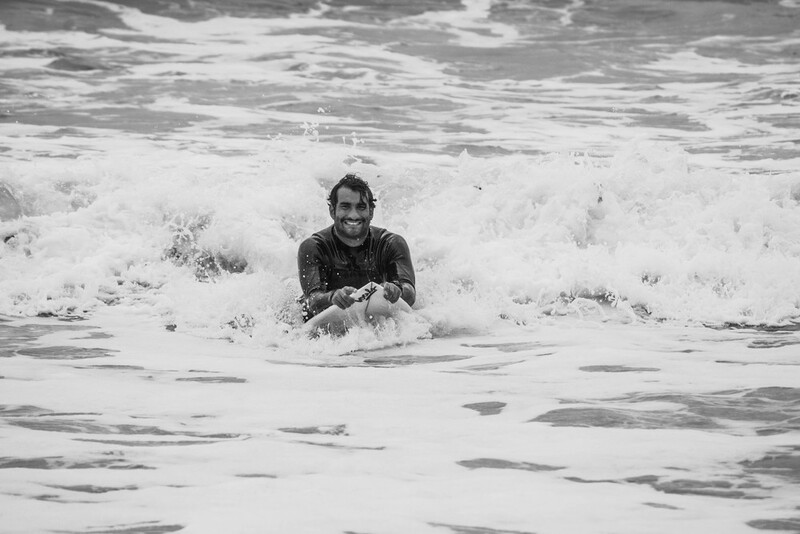 With solid surf and a bunch of people charging foam-tops, what could go wrong? Well a few things actually, but that didn't stop the crowds from coming for carnage! From the early morning onwards, we had some pretty heavy rains for most of the competition; however, Locals had set up several tents along with RedBull's massive wigwam to keep the crowds dry. Despite the rains, we still had a very solid turnout of both spectators and competitors alike. With about 40 people competing, we ran the competition frenzy style, that is to say there were no typical man on man heats. Instead, there were 5 heats of about 7 guys per heat all competing for the three coveted awards: Best Wave, Best Wipeout, and Best Alternative Craft. The rules were simple; no "real" surf boards. 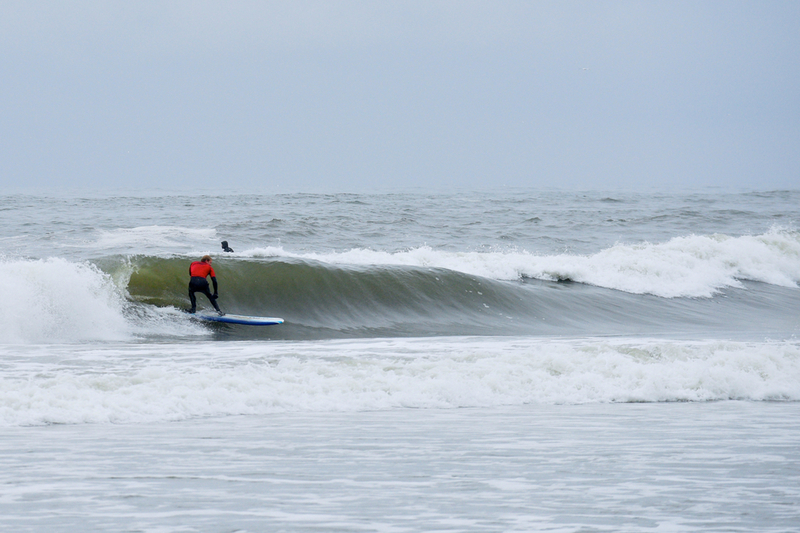 All of the competitors were really charging their hardest in drifty, semi-clean 4-6ft surf. On top of this, there was a school of mating dogfish that added extra element of fear to the frenzy. This made for some epic rides and hilarious wipeouts. In fact, we have never seen so much hilarity go down at any competition before as the whole crowd erupted each time a competitor took off on a bomb or experienced a brutal wipeout. 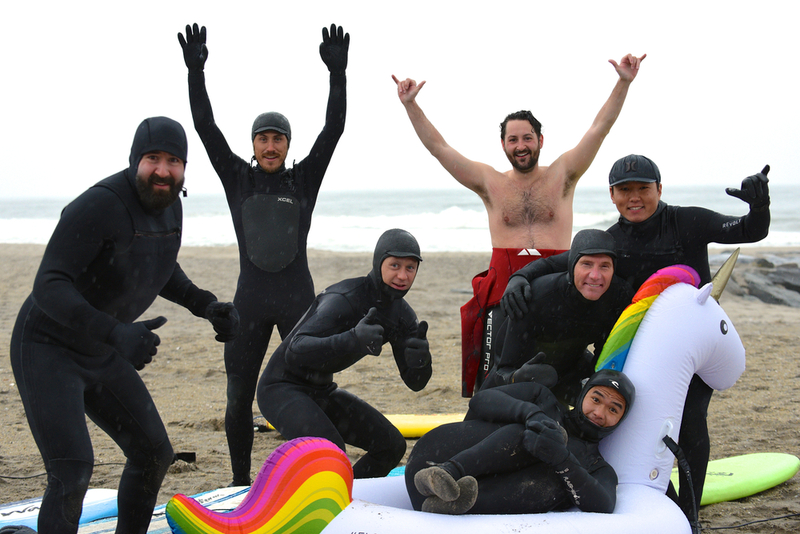 With a quarter of the guys in the "Alternative Craft" division, how could you not have fun as you watch a guy go over the falls riding an inflatable unicorn? By the end of the event, we had at least 3 broken boards and a few champions to be named. Local shaper Paul Schmidt took home the prize for "Best Wipeout" after riding a bomb on his finless foamie but eventually cartwheeling down the face into a broken board disaster. The "Alternative Craft" division was a tough one to judge because one couldn't just show up with a crazy contraption, it had to be ridden! 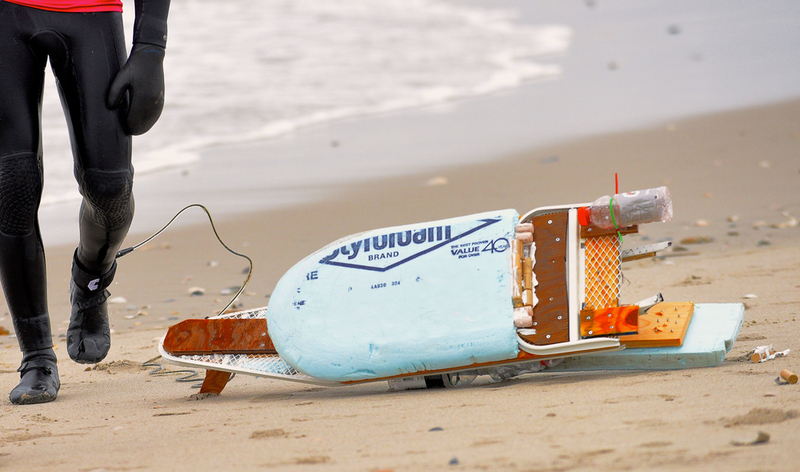 In the end, frequent beach bum Connor won for successfully riding two waves on his multi-board, inflatable craft. Finally, an underdog named Nick Hum won for "Best Wave". While other guys paddled over the biggest wave of the day, Nick's Captain America wetsuit gave him the confidence to go for it, nearly nose-dive, almost skid out and somehow make the drop before getting swallowed by the whitewater in an epic fashion on his trusted 8'0 Wavestorm. By the end of the competition, people were ready to party at the Rockaway Beach Surf Club, and party they did. High Waisted rocked the place as everyone celebrated their foam-top victories and failures with energized cocktails supplied our friends at RedBull. By the end of the day, countless people were begging the question: "when is the next frenzy?" 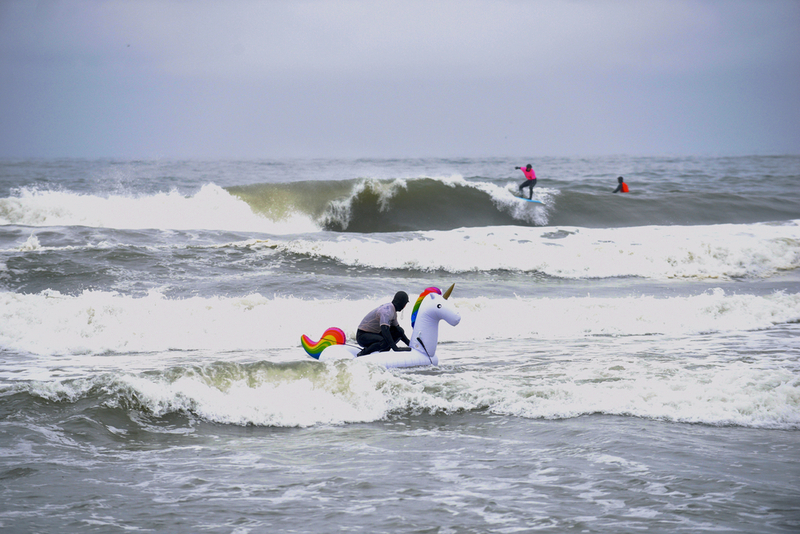 When RedBull and Locals Surf School hatched the idea for this event, the goal was to host a competition that could be work in small waves if we were unlucky but that would be epic if we did get waves. Most importantly, we didn't want any pressure or exclusivity that comes with typical contests; rather, we wanted everyone to feel like they could join in and just have fun. All of these goals were definitely met and we look forward to next year's event as it will be even bigger, better and definitely kookier. This week's Student of the Week is Edith Taichman! Ditch the business and grab a board! 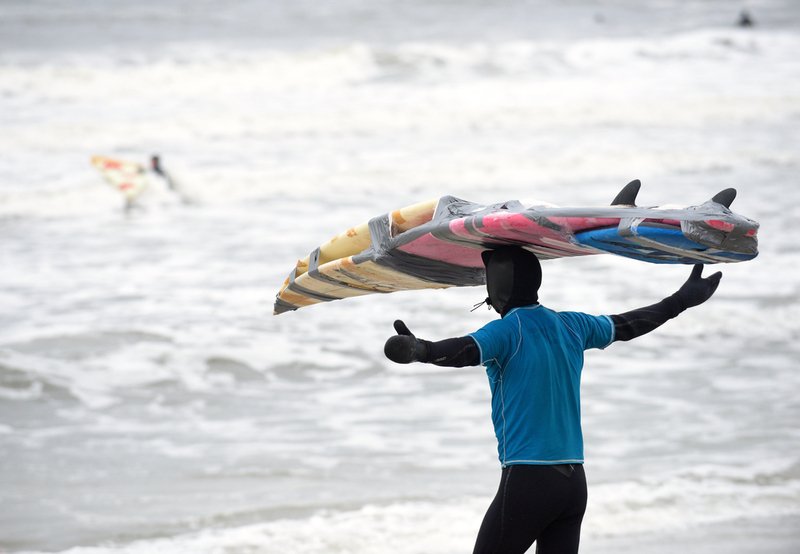 Ditch the business and hop on a surf board— We'll have you and your co-workers catching waves by lunchtime! This week's Student of the Week is Julie Smith! 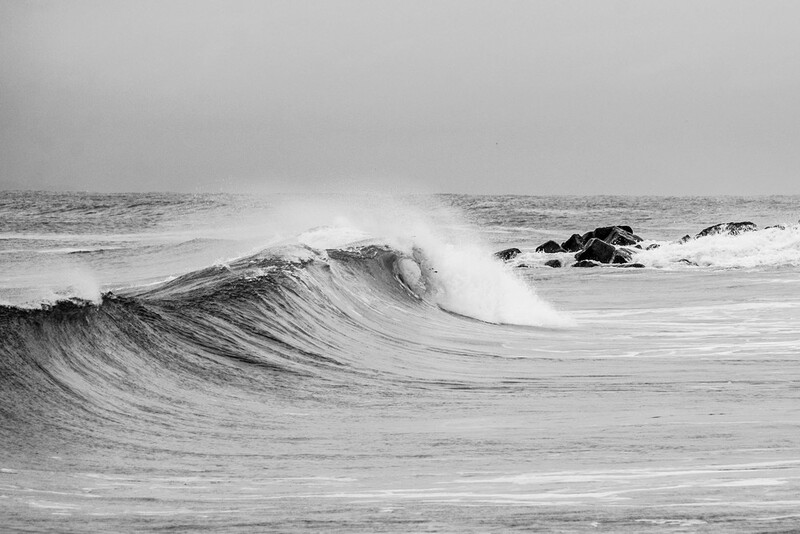 No one knows better how to have fun in Rockaway than The Locals. I mean, who wouldn't trust these guys? We're back at it! Locals is taking over Rockaway Beach Surf Club for a 4th of JULY Bash. For those of you who've attended our previous events, you know what to expect! New year, new you... right? Well, maybe not. It's easy to promise change but not always easy to do it. Fortunately, the Locals have some resolutions for you that are worth making AND easy to accomplish. Locals Surf School will be hosting our next party tomorrow at the Playland Motel! Wow. What a good time. It's nice to be back to see family, friends, and the city I grew up in but damn, it was hard to leave Nicaragua. Why? Well, I could write a laundry list that details every single reason. However, I'd rather just characterize how awesome the experience was with hopes of inspiring you to take a trip with us next time or at least get out there and do your own surf travel. 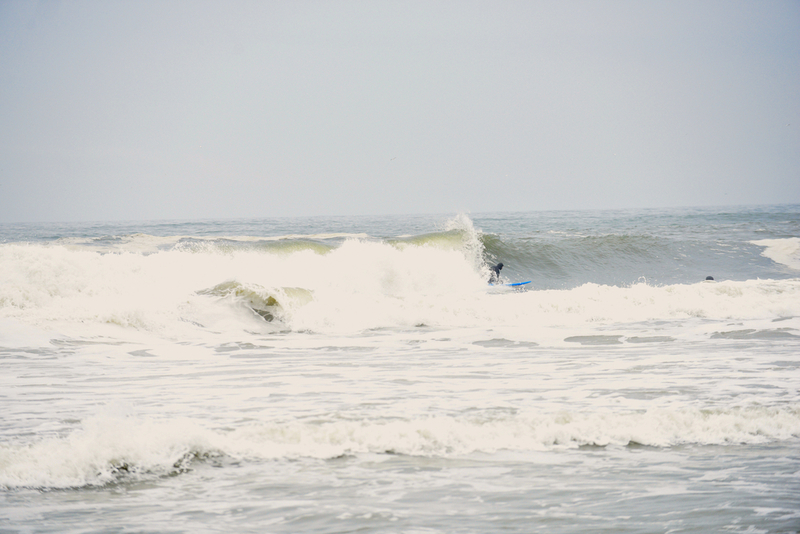 So this past winter I was once again running a surf camp out of Casa de Olas is San Juan del Sur, Nicaragua. San Juan was once a quiet, yet colorful fishing town on the southern Pacific coast of the country. 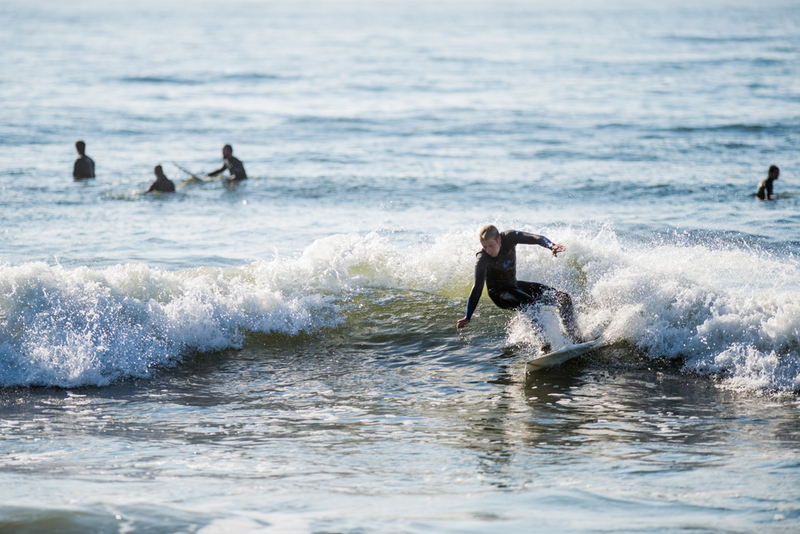 Yet it has now evolved into a lively hub for back packers and surfers alike. Despite the recent and rapid influx of travelers, the town has kept it's authenticity. No McDonald's, no Subway, no Chase bank. Thank God. And just on top of a hill overlooking all the madness is Casa de Olas, my home away from home. This too started as a quiet lodging for couples but has grown and evolved at the same tempo as San Juan and is now a youthful and fun hostel that caters to everyone. You won't understand how good this place is until you stay there, then eventually push you flight back and stay there a bit longer. Overall, myself and my long-time friend and Locals instructor named Josh had an amazing time meeting, teaching surf lessons, and hanging out with each and every student who came down for a trip. And in the meantime, we had the opportunity to enjoy ourselves as well. 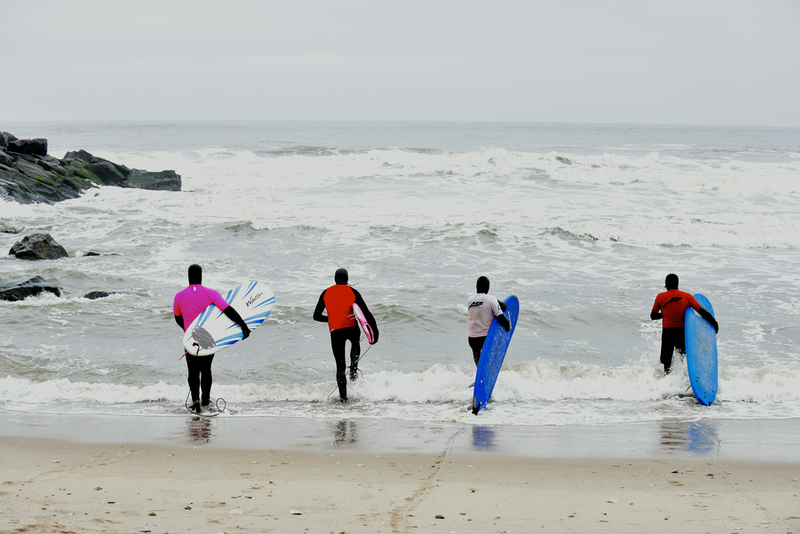 We surfed, we skated, we taught, we partied, we explored, we volunteered, we did EVERYTHING! So if you're feeling cooped up in this big city and thinking about getting out for a bit, just do it. Take and adventure with us or whoever. Just get out there and make the most of it. We sure did and we hope that everyone else can enjoy just as much fun and happiness that we are fortunate enough to experience. Photos by: Anna M. and Clay D. Thanks guys! Reino on a fun one. Each time we approached the road to Maderas, we never were 100% sure that we'd make it. Here someone gets towed out. After you literally can't paddle to save your life, its time to get out, grab some isn tacos, and watch the local rippers charge. Quiet but beautiful bay of San Juan. Thatch roofs are the look in Nicaragua. Always a great sunset at Playa Hermosa. Monos locos. These little howler monkeys sound like 400lb gorillas! Mike on a another good one. La Isla de Ometepe. Yes, that's a volcano in the middle of a massive lake. Sunset party for the infamous Sunday Funday. The grounds at Casa de Olas. "Waves... there were waves?!" This was the frustrated response we heard many times after telling people of the awesome surf session we just had at Beach 67th. Sorry folks but, yes, there were! The forecasts for this day didn't seem to be showing much activity so not many people planned to make the trip out here. We had to cancel our surf lessons due to size but ended up having a solid two hour window of glassy chest high waves mostly to ourselves. The super-light onshores made for puntable ramps on many of the waves. 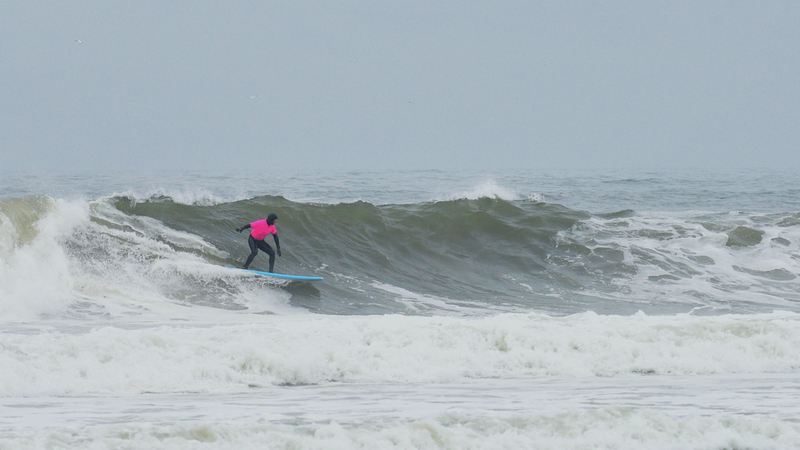 Overall, great day to be a surfer in Rockaway.